Jessica is a mosaic artist based in Southern New Jersey. Her company name is Heliotropic Mosaics. Heliotropic means to grow towards the sun. Jessica has practiced this art for about 5 years, being drawn to using alternative materials to paint a picture. Glass adds a depth and permanence to her work. Creating art that represents wildlife and landscapes. 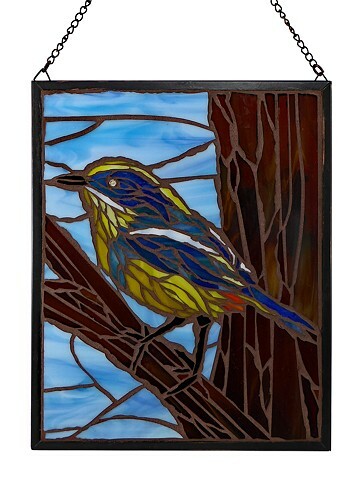 For the last year she has been focusing on birds finding that cutting the glass shards into wings most therapeutic.